Scifi is nominally about the future and the impact of technology on society. Lisa Mason doesn't disappoint us on that issue and gives us a look at a desirable biotechnology with some serious long-term and unforeseen consequences. However, like all the truly great scifi writers, what she really writes about is you and me and today and what is really important in life. Alexa lives an improbable life and yet, somehow, is a very real everywoman. Solzhenitsyn would have appreciated the homage. Cats! Grow your own organic food! Yes, there is much fun to be had on this journey, but the message nonetheless is solid and important. I enjoyed every word even though this book spoiled my day because I had no choice but to read it in one sitting while drinking too much coffee. The price of the Print Book is $10.95. The ebook is $4.99. The autographed book is $30.00. 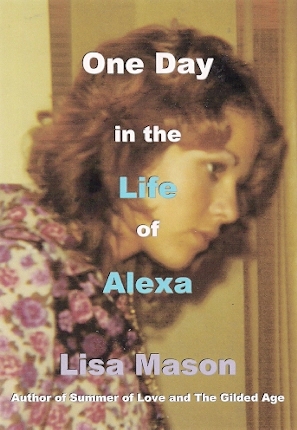 To order the Print Book of One Day in the Life of Alexa on Amazon.com, click here: https://www.amazon.com/One-Life-Alexa-Lisa-Mason/dp/1546783091/. Now an ebook on BarnesandNoble, Smashwords, Kobo, and Apple.